These bibs are available in Cotton / Polyester fabric with elastic on both sides. 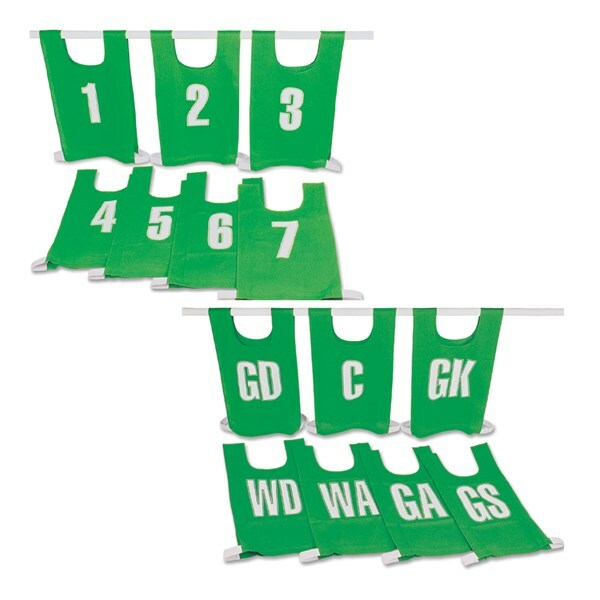 Each set includes 7 bibs with netball positions printed in 6" alphabets. Available in four colours. Red / Yellow / Blue / Green. 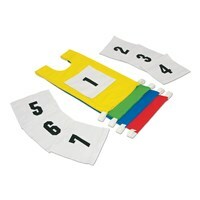 Please mention colours while ordering and also note that one set consists of one colour only. 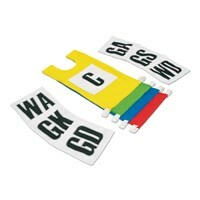 Letters on these bibs can also be printed in your native language at no extra cost. 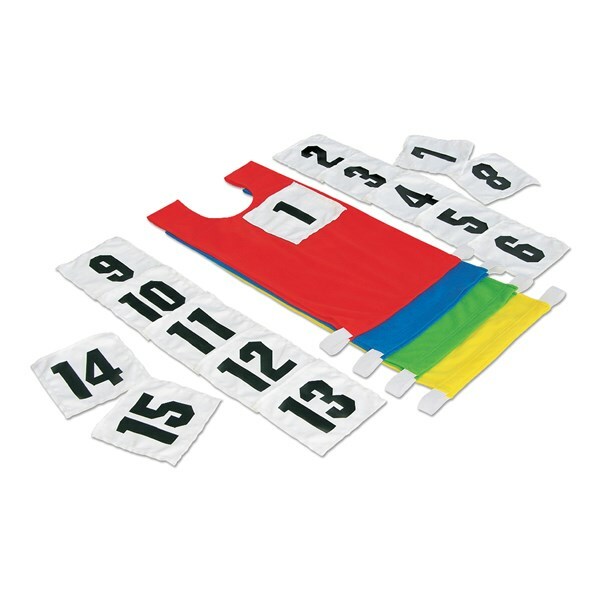 Bib made of a special fabric, which enables these positions to be placed on the Bibs easily. 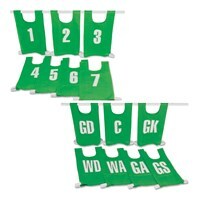 The benefit of this product is that players are not required to change or exchange pinnies while playing or practice when switching positions. These are available in 4 assorted colours and options. Bib made of a special fabric, which enables these numbers to be placed on the BIBs easily. The benefit of this product is that players are not required to change or exchange pinnies while playing or practice when switching numbers. These are available in 4 assorted colours and options. Bibs only without number panels. Available in 4 assorted colours. These bibs can also be customized for size, printing etc., please ask for more details. 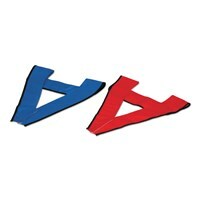 Made of 100% polyester fabric with black lining and velcro attachment. Available in assorted colours.